Moscow diplomats say they are not aware of any preparations for a visit by US State Secretary Rex Tillerson. Reuters said the American would arrive in Russia in April. Russia’s Foreign Ministry spokesperson, Maria Zakharova, said she could not confirm Tillerson’s visit either. “At this stage, we do not intend to neither confirm nor refute the information which emerged [in the media],” Zakharova wrote on her FB page, pointing out that the information had initially been leaked. “It is time for US political elites to decide: have ‘the Russian hackers’ hacked the US State Department servers again or is the threat to the security of US information of an American origin?” she joked. Kremlin spokesman Dmitry Peskov dodged the question about the news agency report. “Let’s wait for the official statements on the matter rather than those of Reuters. For the State Department and the Ministry of the Foreign Affairs of the Russian Federation to announce the visit,” he said. 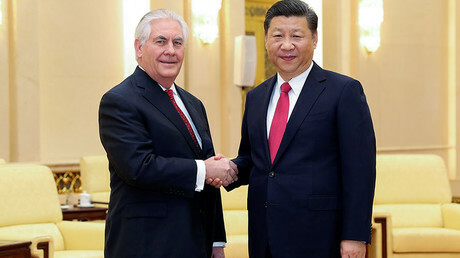 Reuters originally ran the story on the alleged visit under the headline “Tillerson plans to skip NATO meeting, visit Russia in April,” it then explained that the reason was that the summit will overlap with a meeting between US President Donald Trump and Chinese President Xi Jinping at Trump’s Florida estate on April 6-7. While Tillerson will not be in attendance at the NATO summit on April 5-6, he is scheduled to hold a meeting with the members of the international coalition against Islamic State (IS, formerly ISIS, ISIL) on Wednesday this week, when all of the ministers will be present, according to a spokesman cited by RIA Novosti. The US will be represented by Tillerson’s deputy in Brussels. “[US Undersecretary] Tom Shannon will represent the United States at the NATO foreign ministers’ meeting,” the State Department spokesman told RIA Novosti. 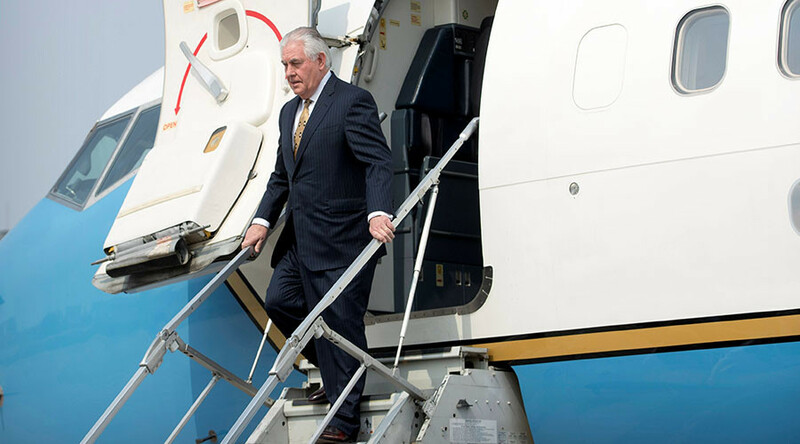 Before he goes to Russia, Tillerson is scheduled to take part in a meeting of G7 foreign ministers early in April, the spokesman added.